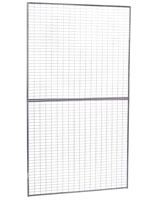 This gridwall art base is made of durable iron with a gleaming silver finish. 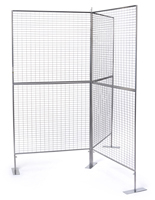 This trade show or retail accessory is designed to support 3-way configurations of rectangular gallery-style grid panels (sold separately). 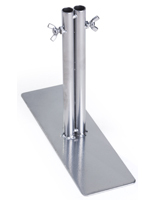 This type of exhibition support fixture is ideal for artwork, crafts, or hanging merchandise. 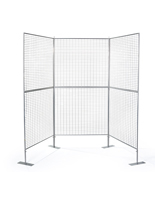 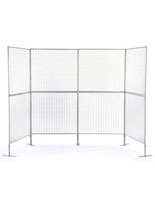 This gridwall art base is easy to assemble in a variety of 3-panel configurations. 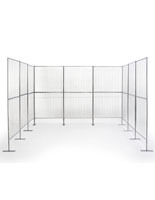 Order these systems for graphics, retail merchandise, and crafts to create unique custom display that will attract customers in any environment. This steel art base is a sturdy accessory designed for freestanding use. 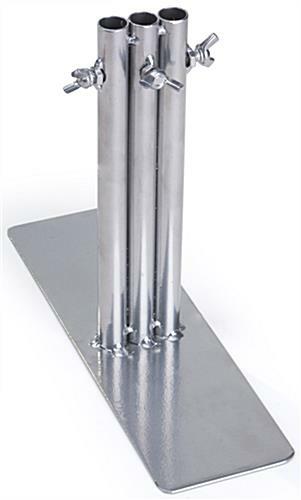 10.0" x 8.0" x 1.5"